Dutch students risk losing out on university places because of the surge in foreign students attracted by degree courses in English, the Telegraaf said on Friday. In an article headlined ‘stop the English madness’, the paper said the situation is a particular problem in courses where the universities have introduced limits on student numbers. ‘Internationalisation is a good thing but if the over-representation of foreign students becomes a problem, universities should ask themselves if they should be offering certain subjects in English,’ said Pieter Duisenberg, chairman of the Dutch universities association VSNU. This year, 101 degree courses offered by universities and hbo colleges have some form of limits on student numbers or entry qualifications. 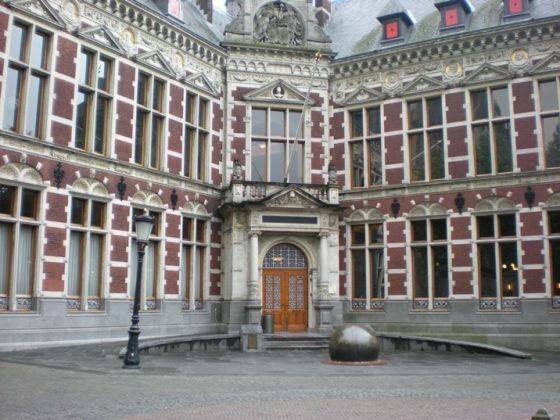 And earlier this week, it emerged that 594 Dutch students have applied for the 600 places to study psychology in English at the University of Amsterdam – as have 1,260 foreign students. Subjects such as dentistry, pharmacology, Dutch law and even Dutch literature are now being taught in English. ‘You should be able to justify why a course is being offered in English,’ Delft University spokesman Michel van Baal told the paper. The paper says the most popular course among foreign students may well be International Business Administration, offered by Erasmus University in Rotterdam. In total, 2605 foreign students and 767 Dutch students have applied for one of the 550 places. The share of Dutch students taking the degree course is around 35%. ‘It is important that enough Dutch students are able to take the course, if they are motivated and qualified,’ course director Adri Meijdam told the Telegraaf. The number of foreign students in the Netherlands has doubled in the past 10 years, hitting some 80,000 in the 2016/17 academic year, according to a report by international education group Nuffic at the end of last year. In 2016, the Volkskrant reported that 60% of the 1,632 different degree courses at the country’s 13 universities are now in English. When it comes to master’s degrees, just 30% are taught in Dutch and three universities only offer master’s degrees in English. The surge in English at universities has also led to complaints about poor standards. In 2016, almost 60% of students in a poll by students union LSVB said they had been confronted with incomprehensible lecturers.